Why is it important to protect SharePoint Server from data breaches? Just think about sorts of information you store there: calendars, documents, strategic plans and every other possible kind of company’s sensitive information. Employees can view, add, edit and delete items according to their access rights, so vigilance is key. Give full attention to tricky but necessary ways of protecting SharePoint Server and avoiding inside and outside security threats. 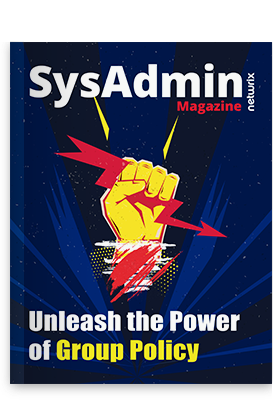 Check out the third issue of “SysAdmin Magazine” dedicated to security of SharePoint Server: it contains useful tips, guides and how-tos. Grab these important tools and build up a secure environment for file sharing! Use this issue of “SysAdmin Magazine” as a digest of tips that just work. This should be rather helpful in creating a secure environment for sensitive data used by your colleagues every day.